The Span Linear by Tech Lighting is an ultra-thin architectural fixture that utilizes a backbone of edge-lit guide technology. Appearing as a silhouetted plate of frosted glass when off then illuminates across the entire surface as if the light is coming out of thin air. This ultra-modern linear fixture is available in two on-trend finishes, Satin Nickel and Matte Black. 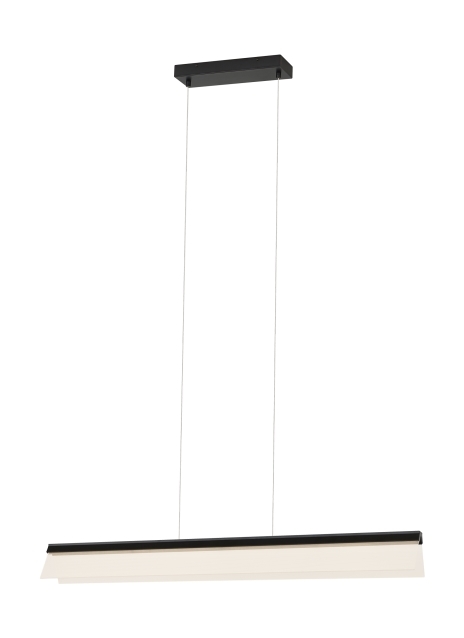 The Span Linear scales at 4.5” in height and 46” width making it ideal for dining room lighting, conference room lighting and hospitality lighting applications. The integrated LED lamp is fully dimmable to create the desired ambiance using a low-voltage ELV or Triac dimmer. Includes 76 watt, 3170 delivered lumens, 3000K, 90 CRI LED linear modules. Dimmable with low-voltage electronic dimmer. Ships with twelve feet field cuttable cable.